* High quality wallet made out of soft PVC. * Suitable for coins, bills, credit cards. * Easy to take around. Will fit nicely into any handbag. * Wallet measures approx. 7.5" (W) x 3.75" (L) x 1" (D) or 19cm (W) x 10cm (L) x 2.5cm (D). * Wallet features four bill compartments, one coin compartment with zippered top, four credit card slots and two extra storage compartments. * Zip closure around the wallet. * Features a film-coated, clear reproduced photo on both sides of the wallet. * Condition: New with tags. 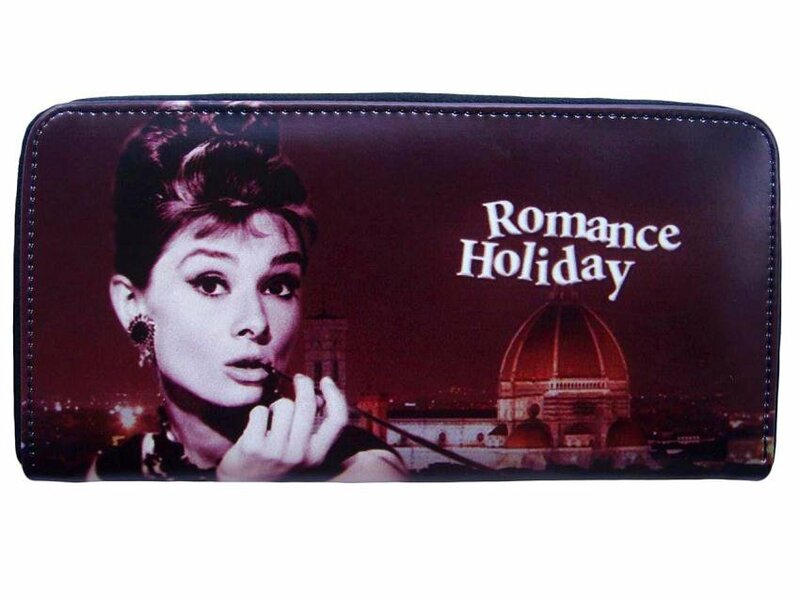 * This wallet will match perfectly well with our bigger Audrey Hepburn handbags!